Offering outstanding flexibility and enough room to seat five comfortably, the Ford Tourneo Connect is a great choice if you're searching for a practical people mover with unique style. There's loads of interior space to play with and there are plenty of handy storage spaces dotted throughout the cabin. Strong engine options and low running costs make this a superb buy for drivers who have their heart set on a flexible, practical vehicle. 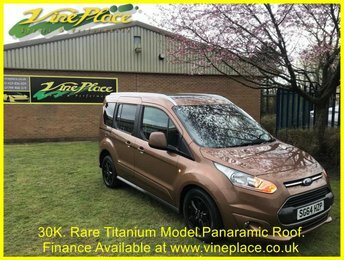 You can view the complete range of used Ford Tourneo Connect models for sale in Wingate here on the website and don't forget to contact a member of the team to arrange a test drive. Belmont Vehicles Ltd is proud to offer unrivalled customer service so let us help you find the used car of your dreams.